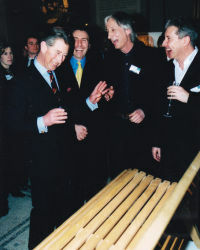 In 2001 I designed a range of furniture for the London company Trombé Ltd, including an oak bench. The bench was intended for garden or conservatory use, and was inspired by the comfortable, flowing lines of the metal roadside benches that you find everywhere in France. Most of our English benches are upright and uncomfortable, I wanted very much to make this a bench for relaxing on. 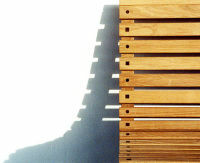 The slats, of various widths to suit the curve of the frame, are fixed by what became the bench's most distinctive feature : alternating square and round walnut inlays giving a decorative concealment to the stainless steel fixing screws. 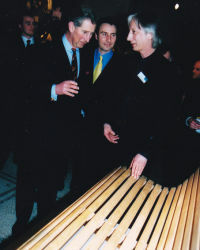 The first benches were made by Jeremy Higson Ltd, of Evesham, Worcestershire. 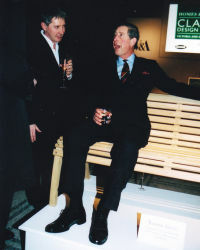 The Trombé bench was shortlisted for the 2002 Homes and Gardens / V&A Classic Design Awards, and at a 'glittering' (I think is the word) ceremony at the V&A won two of the three awards, including The Prince's Medal, presented by Prince Charles. 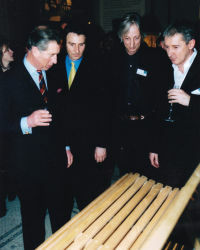 In his speech Prince Charles said "I firmly believe that there are certain principles of design - a natural 'language' if you like - which, when observed, result in products which have a sense of 'rightness' - whether of material, construction, colour or proportion. We naturally respond favourably to these products, finding them comfortable and pleasing to live with. The friendly, organic design of Chris Eckersley's bench makes it comfortable to linger on, whilst its proportions flatter and complement those who sit upon it." 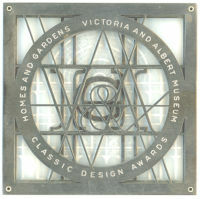 The V&A said "In the spirit of Prince Albert's award of medals to favoured British designers and manufacturers whose designs for the Great Exhibition came to form part of the Victoria and Albert Museum collection, the Prince's Medal for Classic Design is for an item selected from the shortlist by HRH The Prince of Wales." The medal is designed by Wendy Ramshaw. 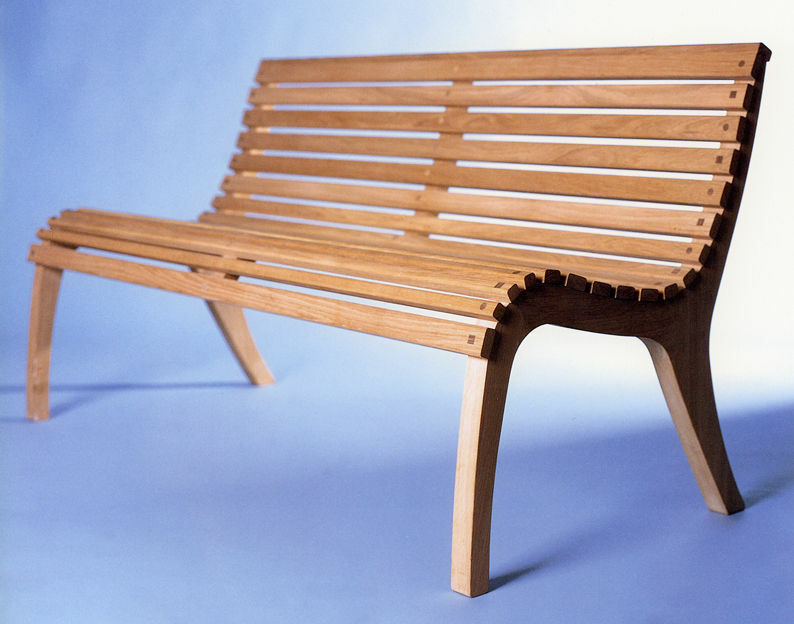 That was in 2002 and the design looks as if it could actually become a classic as the bench is still popular and still in production today. These days it's made in component form by Mobel Big in Sweden, and then assembled over here - this has proved to be the best way of doing it. 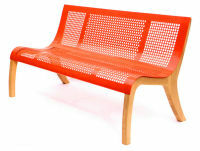 Subsequently I've made a rocking version (Rockin' Bench), and the whole thing has come full circle with a colourful perforated metal version (French Bench) as a sort of homage to the benches in France which I so admire. There's also an outdoor table and bench set, which is available in colours to harmonise or contrast with your garden planting schemes.